Three years have passed since vampire princess Cassy Daniels, Scion of the House of Dracul, gave up her title to turn and marry David Ashe. Together, they live in exile with the Council of Crones, a group of elder witches. Isolated from the world, they found bliss. However, vampire politics soon intrudes. Born vampire women are being kidnapped, and Cassy’s next on the list. After a failed attempt to take Cassy from the Council of Crones’ estate, magical portals lead back to the missing women. Cassy and David are tasked with bringing them home. David is sent after Elisabeta, Cassy’s sister-in-law, who is still on Earth. Cassy, however, has what it takes to enter the elf-kingdom of Avalon and retrieve the other three vampires. Can Cassy and David hold onto their bliss or will Avalon’s magic lure her from home? David shifted to place Cassy behind him. The prince gave a smirk at the obvious movement. Lady Helena laid her hand on David’s shoulder as if to restrain him. He relaxed but still blocked Cassy from the prince’s immediate grasp. Cawing from the window ledge drew everyone’s attention to the crow. It spread its wings and gave another loud caw, leaning forward in a clumsy bow. It waited until Lady Ursula held her arm and beckoned it to her. Flapping feathers swooshed over Cassy and David’s head. The bird landed with more grace than its bow. It leaned its head as close to the elder witch’s face is it could and still remain on her arm. A series of clicks and soft caws added to a set of guttural noises as the bird communicated. The witch nodded and pulled a treat from her pocket. “Thank you, Obsidian. That was most informative.” She gave the crow its reward and held her arm up higher. It flapped several times before launching itself into the air. It took laps around the tall ceiling and headed back out the window. “It seems, Prince Vlad, we have a common problem. One of our Mothers has been reported missing in New Atlanta, but we have a magical trace,” Lady Ursula said. “And vould you be so kind as to tell me vhere the trace led?” Vlad requested. Born and raised among the Blue Ridge Mountains of western North Carolina, J. Annas Walker was brought listening to oral history and traditional storytelling. Her hobby of writing short stories bloomed out of this tradition. With the encouragement of her sisters, husband, an aunt, and a very supportive cousin, she took a chance to turn her hobby into something larger. After acquiring a bachelors of science in civil engineering technology, she worked for a number of years as a transportation designer. Designing road construction projects by day, she continued writing by night. Today, she writes more than she ever did and blends fantasy and paranormal into romance storylines. The fanged, spectral, magical, and furry have become everyday life. J. Annas Walker lives with her husband, two teenage sons, and her cat/office assistant. 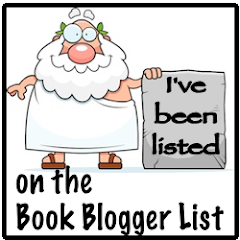 Thanks for hosting this stop on my blog tour! Thanks MisyRios and Cassie Polla! I can't wait to read this book, I have it on my TBR list! Thanks so much for the chance to win!